Herdsmen killings: Catholic bishops plan nationwide protest May 22 – Royal Times of Nigeria. 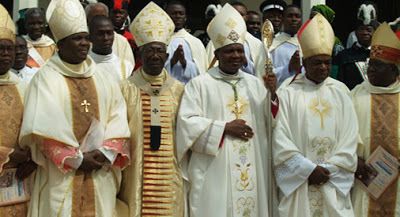 The Catholic Bishops Conference of Nigeria, CBCN, has fixed Tuesday, May 22, as a day of protests for Catholic faithful across the country. The CBCN said the protests would coincide with the burial of the two priests and 17 parishioners killed by herdsmen during a morning mass at Gwer East Local Government Area of Benue State.